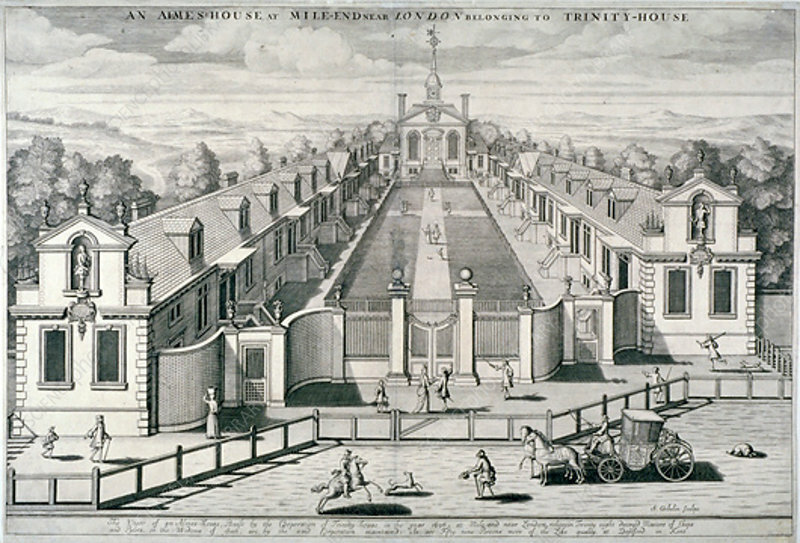 Trinity Almshouses, Mile End Road, Stepney, London, 1696. Perspective view with figures and a horse-drawn carriage. The almshouses were founded in 1695 for retired ship's captains and their widows. In 1896, permission to demolish them was refused as a result of popular protest.